Ghostlight and Laughing Jackal have announced that OMG Zombies! will release on Nintendo Switch next week, arriving with a 75 percent off early bird discount. 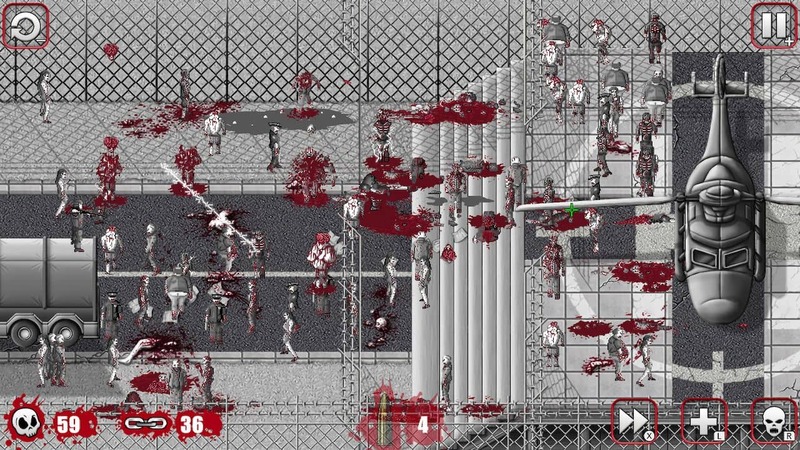 This gore-fueled chain reaction puzzle shooter was first released on the PlayStation Portable (PSP) and makes a return on Nintendo’s portable home console with the upgrades that were made in the PC and PlayStation Vita ports. After Redfield is hit by an outbreak of exploding zombies, a lone cop becomes the last man standing at the epicenter of the outbreak. Armed with a large-caliber sniper rifle and bullets coated in a zombie-exploding pathogen, you must succeed where the police and army have failed – challenged to clear the streets. With 100 branching levels of zombie hell set in 40 unique environments, you can earn 400 shiny medals for your efforts and cash that can be used to buy 100 different upgrades. OMG Zombies! will release on the Nintendo eShop for Nintendo Switch worldwide on March 26th priced at £3.99 (€/$4.99). The early bird discount will be available until April 2nd, reducing the price to £0.99 (€1.09/$1.24).